DETROIT, MI—In a very upbeat and hopeful press release to employees and shareholders this morning, GM CEO Mary T. Barra was pleased to report that there are 3.3M GM vehicles on the road for the automaker to recall. “Despite a challenging economic environment and continued pressure from foreign automakers, I am very happy to announce that we have sold, and are now able to subsequently recall, over 3.3M cars and trucks,” said the beaming Ms. Barra. The cheerful executive then lauded the dedicated individuals of Detroit and her entire management team for working so hard over the past several years to make this recall possible. 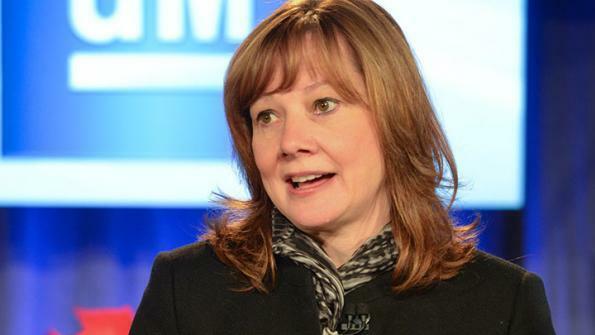 “Without your commitment and enthusiasm through the downturn, we would not have beaten forecasts of only 2.5M vehicles sold and eventually recalled.” In her closing remarks, Ms. Barra said that, based on the company’s recent performance, she sees no reason why they can’t make 4M or even 5M faulty vehicles next year.